A couple of weeks ago I put on my posh togs and had a day out in the elegant Victorian town of Harrogate in North Yorkshire, where I discovered an intriguing connection to Johnny Depp. The town is known for it's Turkish Spa Baths, The Great Yorkshire Show, Victorian architecture and the world famous Betty's Tea Rooms. There's also a wealth of shopping, from the quirky antique and curio shops in the Montpellier Quarter, to high street favourites in the centre of town and individual shops around the train station area. In addition to sightseeing and sampling the wares of a local cafe I managed to find some sewing and crafting shops for guilt-free shopping, well it's not that I just like buying fabric, I need it! Read on...! 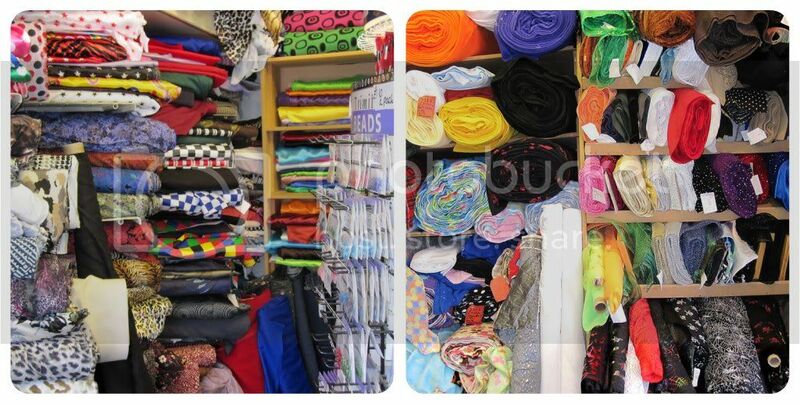 Wandering down Commercial Street near the train station I found 3 haberdashery/fabric shops. 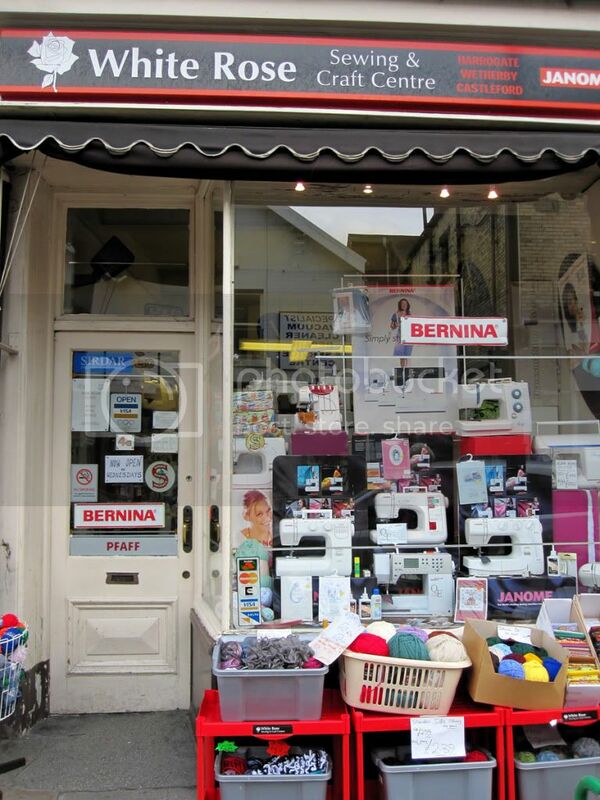 What a fantastic shop literally stuffed to rafters with rolls of fabric! 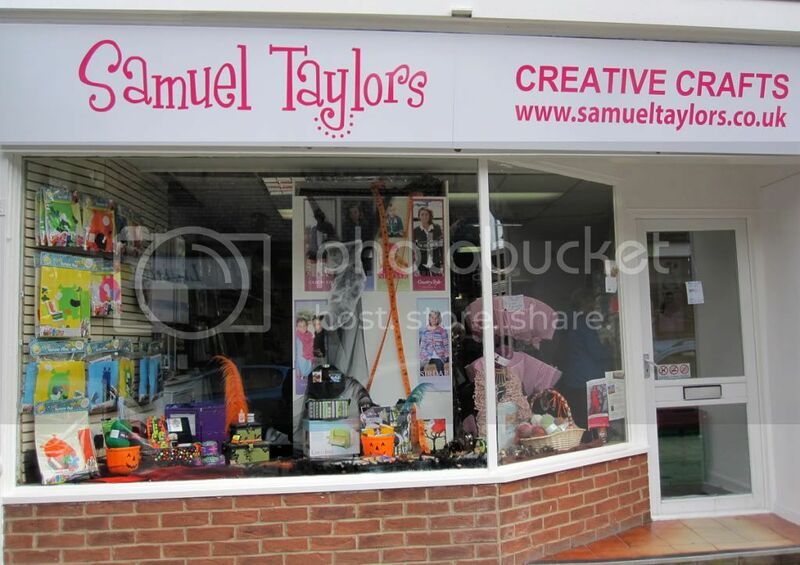 A couple of doors up the street and you can find Samuel Taylors Harrogate store, part of a well known chain of haberdashy shops across Yorkshire. Establshed in 1947 the family run business has now ventured into craft supplies. 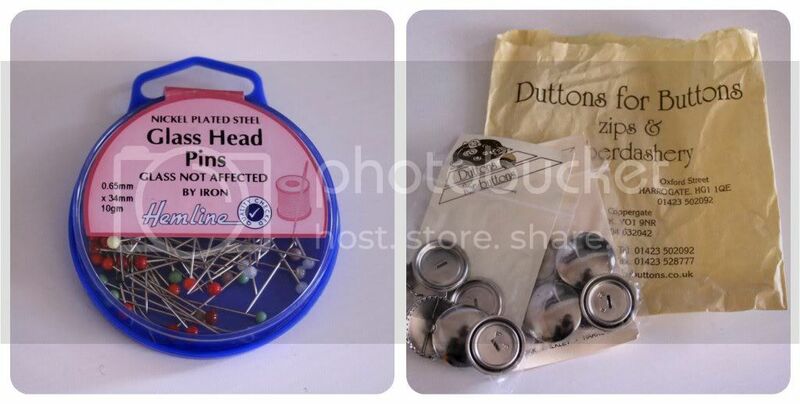 The shop sells pins, needles, zips, ribbons and a large range of crafting materials. The online store is known as Click on Crafts and the website can be found here. A few short steps away in Oxford Street near the Harrogate Theatre is one of the most amazing shops I've ever visited. 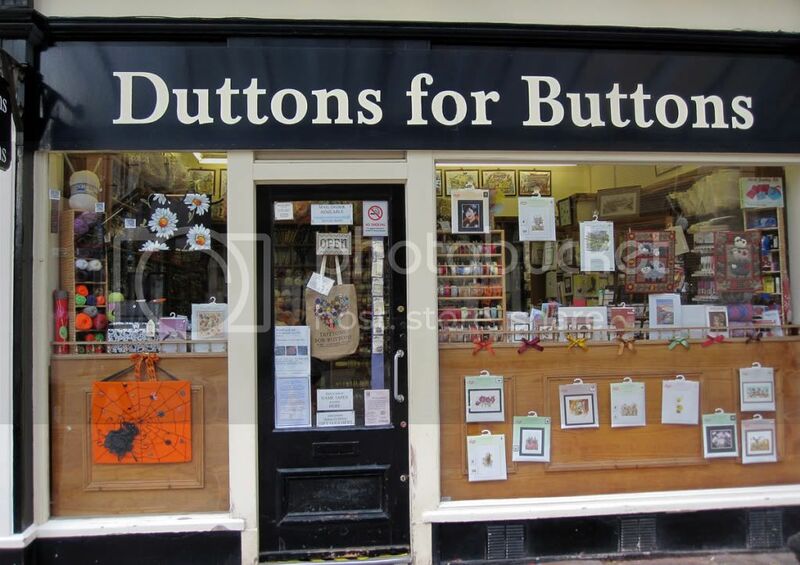 Duttons for Buttons has a mind blowing collection of buttons, literally thousands stacked from floor to ceiling in every colour, shape and material. 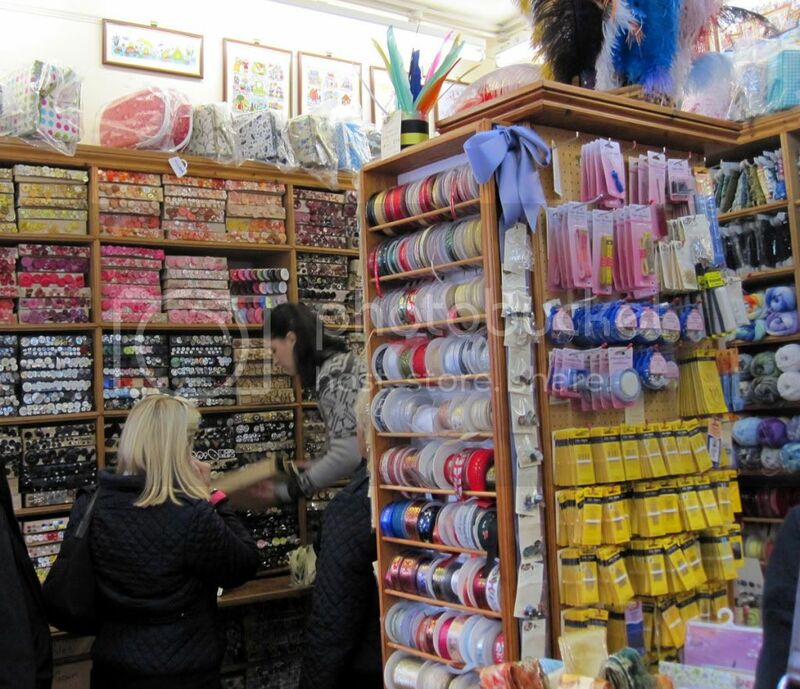 They also stock other haberdashery and craft supplies. 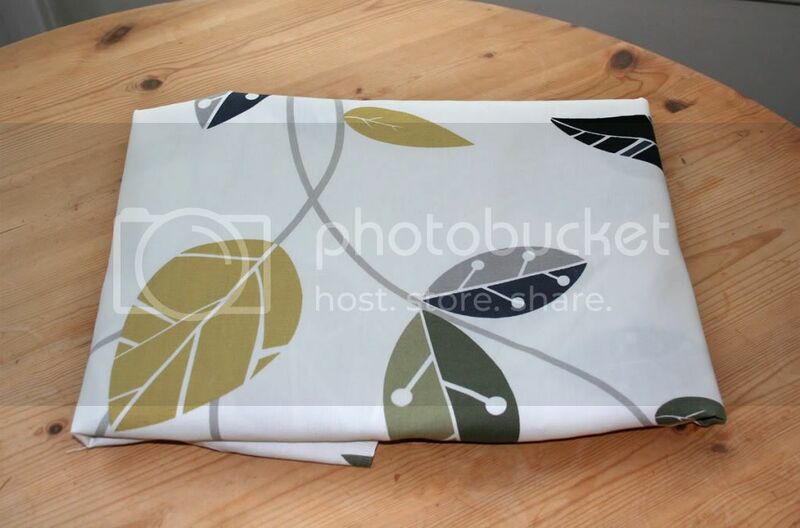 Their website can be found here, and while they don't have an online shop, you can submit a request or a swatch of fabric and they will offer suggestions. I was very tempted to spend my life savings in here but was very well behaved and only bought what I needed. Glass headed pins after I melted my plastic headed ones making this bias tape. And self-covered buttons which I used here in my winter cape coat. This family owned business has been trading in Harrogate for over 50 years and has built up a world wide reputation, even supplying buttons to the costume departments of Hollywood blockbusters including The Pirates of The Caribbean, Evita and Captain Corelli's Mandolin. I mean, Johnny Depp has worn their buttons, now if that isn't a selling point I don't know what is?! Indeedy, all crafters and sewing enthusiasts need to visit Harrogate at least once in a lifetime! It's a truly lovely town and the surrounding countryside is just gorgeous - but then I'm from Yorkshire so I'm biased :-) !! 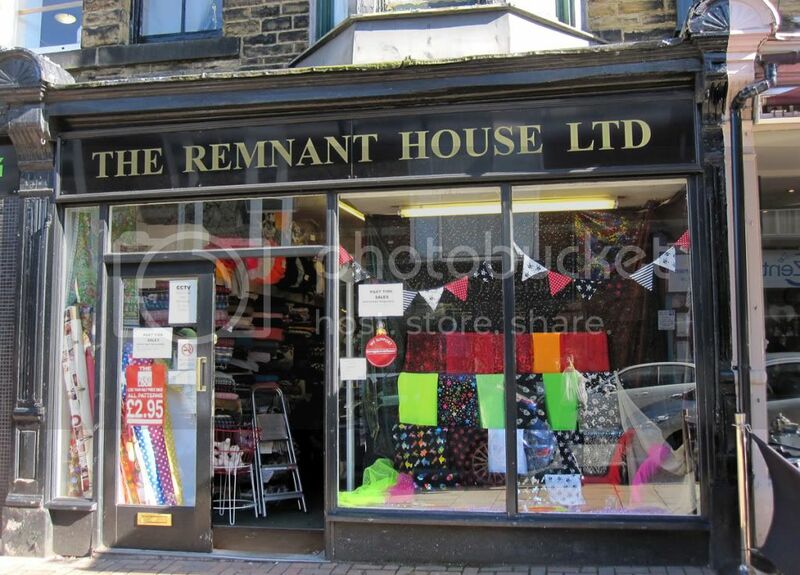 I think I could spend hours in The Remnant House too. Harrogate, A little bit of heaven here on earth! !